Ayer Jueves, Google Maps Street View fue lanzado en Grecia luego de 5 anos de disputas y esperas entre Google y el Gobierno Local. El conflicto comenzó en 2009 pero con la actual crisis griega sumado al hecho de contar con StreetView funcionando sin problemas en casi 30 países, el Gobierno ha decidido levantar el veto y permitir la visualización de estas imagenes. Google launched its Street View map service in Greece on Thursday after winning approval from the country’s privacy authority, which had blocked the ground-level map application five years ago. Company officials said the service went live after “extensive and detailed” negotiations with the country’s Data Protection Authority, which last year lifted objections made to the project in 2009. 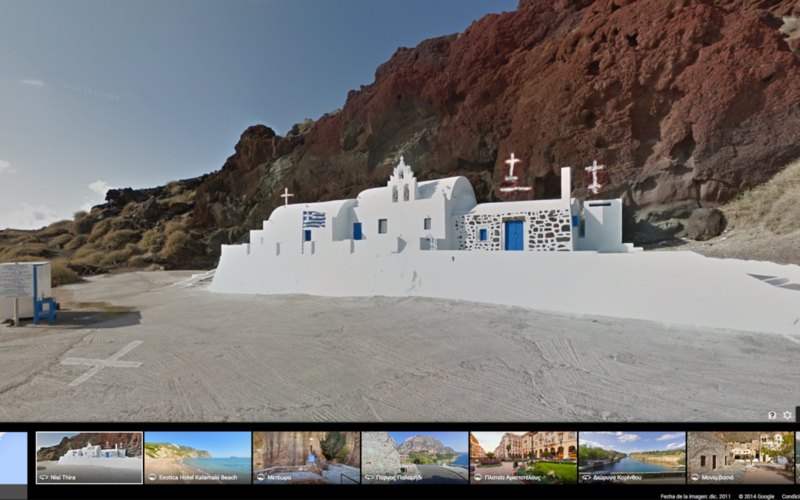 Google was allowed to gather photos for Street View while waiting for formal approval to start the service in Greece, the 56th country where it is now available. The company also had been permitted to display cultural sites on a related service. Company officials said the service covers about two-thirds of the area that Google plans to map in Greece, and includes most of the mainland and popular holiday islands. It currently does not include many more sparsely populated islands, for example. Nearly 18 million tourists visited Greece last year, according to official figures, while the government and industry officials say the number on track to rise to 20 million in 2014. In its ruling in November, the Greek privacy watchdog said Google had responded to earlier reservations — such as about whether the images of people’s faces and vehicle license plates displayed on its service get blurred out, to protect their privacy. “The DPA wanted to see that our blurring technology works — we have demonstrated that it does work in 55 other countries — and safeguard the right of Internet users to report any complaints,” said Dionisis Kolokotsas, a public policy manager for Google’s Greek operations.